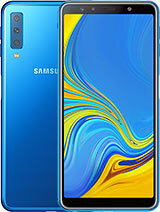 Cant decide to get this of the Samgsung innov8. I mainly want a phone for movie play back, gps(not really interested in navagation, just want it for the third party track day logging apps). And will be using alot of time on the wi-fi feature. Any suggestsions on helping me pick between the two? Oh and i currently have a k850i. Charlie, 15 Dec 2008Hy i have just bought one 10 days ago , and i have the same problem the battery is full for on... moreI have mine for nearly a week now and the battery is hanging in for at least 3 days...Let the battery drain and then full charge after about six times like this the battery will get better and this is for every single phone...the battery will get better after 5-6 charges only if you fully drain it and fully charge....take good care of your phone and it will take good care of you....I AM LOVING THE XPERIA IM GLAD I BOUGHT IT.. I am glad if you happy with your X1 - enjoy it!!!! very good! better than my n95! goodbye nokia! good riddance! Listen, we do not care whether you buy or not. IT would be more useful if you follow your own advice. Nobody wants to tell you to buy or not to buy! and yes they are just phones so do not take it so seriously - insulting people! I guess you are just not too happy and you project your disappointment to us. Please.. All of you just quit it.. Everything on this website are just phones.. all of them have their pros and cons.. and you buy what you like and you don't buy what you don't like. You want a 16M color screen phone then get one. Don't bother the ones who want a phone with 65k colors. I bought this phone, and it's my problem to get a phone with 65k colors instead of 16M colors. So what? Don't tell me what I want to buy or not just by the stupid specs of a phone. Give your own personal experience with the phone, or shut up and read other people's personal experience with the phone..
You are supposed to come to a forum like this to find out hand-on experiences from other people who actually played with the phone, not bash it because of a spec or two that is inferior to another phone. If all of you are soo ignorant and bash phones because of specs, then go make your own phone. Let's see how far you get with that. And, grow up, they are just phones. Anonymous, 15 Dec 2008the rating is going down! :)Someone suggested that any rating less than 5 does not count. Obviously, people who got the X1 and extremely disappointed votes below 5. This explains the voting result. The link below is really good few minute read its from the bbc website on all top end smarfones,,from bb to androin to windows and a comparison of xperia to psion..I think the article sums up things perfectly and suggests that the converged device is still a way off.. Anonymous, 01 Jan 1970Hy i have just bought one 10 days ago , and i have the same problem the battery is full for only 4 hours!! 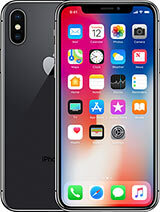 and if i Talk a little bit long my ears goy burned,,, incredible such a good publicity they made of this phone that i can´t beleive they didn´t realise this problem..
It´s impossible to go out and not to take anothre cell phone just in case this run out of battery. You have another folder called buisness applicatios which has adobe reader LE,,notes,,tasks. Tools app next has internet sharing,,java which on mine is mini opera downloaded myself plus games,ebay..
quick gps,, and a sim manager..
Their are extra settings for the 4 led status lights,,optical joystick control,,spb shell settings,,external gps and a customer feedback app which you initiate at setting up of this monsterous product..
Have you ever felt how 'CHEAP' they are made!!!!!! and the software? Symbian ! 'puck' not user-friendly in anyway! 16M is a Nokia gimmick ..it actually makes NO difference at all..
just please stop making stuff, do some research and think ..then comment here!!! are you from PK ? does x1 do voip calls like older nokias? does anybody know? Anonymous, 14 Dec 200816M color is about 300 times more than 56K color. But still Xperia with 65k colors beats ANY nokia screen with 16m colors...so Xperia wins.